"core europeans", africa, africans, biology 101, biology and behavior, biology matters, civicness, different peoples is different (duh! ), early medieval europe, eastern europeans, europeans, family types, hanky-panky, left-wing authoritarianism, mating patterns matter, medieval europe, polygamy, relatedness matters, sprained parietal lobes, subsaharan africa, subsaharan africans, what's this hbd business all about anyway? i’ve been trying to think through polygamy and if there’s any potential there for the selection for clannishness like i think there is with long-term cousin marriage. (i think i might have sprained a parietal lobe while doing so. (*^_^*) ) i very much have subsaharan african societies in mind here, but, of course, polygamy occurs elsewhere, too. on the surface it seems obvious that long-term polygamy ought to set the stage for the possible selection for clannish behaviors like cousin marriage (imho) does. like repeated cousin marriage, strict polygamy ought to narrow the relatedness within a population — the result of strict polygamy should be a greater number of half-siblings in a population than in a randomly-mating population, and, of course, half-siblings are more closely related to one another than non-siblings, so a society full of half-siblings could potentially lead to an accelerated selection for nepotistic altruism in a way similar to cousin marrying societies. i should note here that polygamy in subsaharan africa is extremely variegated — in some societies, it’s typical for the first wife to actually be a cousin, and then the rest not. so there can be a layer of cousin marriage in amongst the polygamy. in other societies, cousin marriage is completely avoided. in yet other societies, the series of wives might be sisters (sororal polygyny), which makes all the offspring not only half-siblings (because they have the same father) but also cousins (because their mothers are sisters). 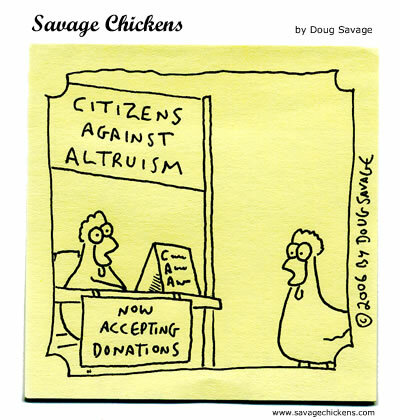 here you would think that any selection for nepotistic altruism should very much be amplified. of course, in many subsaharan african societies — especially the polygamous ones — there’s often a lot of hanky-panky going on, so not all of the siblings will truly be half-siblings, etc. that’ll dilute your genes for nepotistic altruism right there. another thing i also thought of regarding subsaharan and/or polygamous societies is the fact that all of the half-siblings don’t always grow up together. in patrifocal polygamous societies, yes — there you’ll have one man living with all of his wives (poor fellow!) and all of his kids, so all the half-siblings will be raised in the same place and interact with one another — and, presumably, continue to do so as adults. in matrifocal societies, a mother and her children reside with the mother’s family, not her husband and his family. this occurs in some polygamous societies, too. it seems to me that, even if polygamy was a driver of accelerated selection for nepotistic altruism, such selection couldn’t possibly happen if the carriers of the clannishness genes don’t interact. if the half-siblings from polygamous unions don’t grow up together, or don’t interact much as adults, but rather with their (ordinary, i.e. 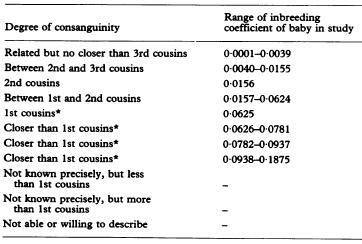 not inbred) cousins, how would clannishness be selected for? it wouldn’t, i don’t think. or it wouldn’t be selected for in an amplified, accelerated way (which is what i think happens in the long-term cousin marriage scenario). and that’s as far as i got with thinking through polygamy (i shall return to this topic, i’m sure). but thinking about the patrifocal vs. matrifocal family types got me to thinking about something else. thought experiment: let’s say you eliminate cousin marriage from a population, but don’t eliminate the extended family. say you get rid of the inbreeding, but individuals continue to interact mostly with their close (extended) family members — more so than with the other members of society who are unrelated to them. you would think that it would take longer for clannishness to disappear — for “genes for nepostistic altruism” to get diluted in the population — than in a society where both cousin marriage AND the extended family were simultaneously eliminated. “Russian manorialism was distinctive in several important ways…. In Russia…it was the peasant commune that allocated these taxes and obligations among the households. 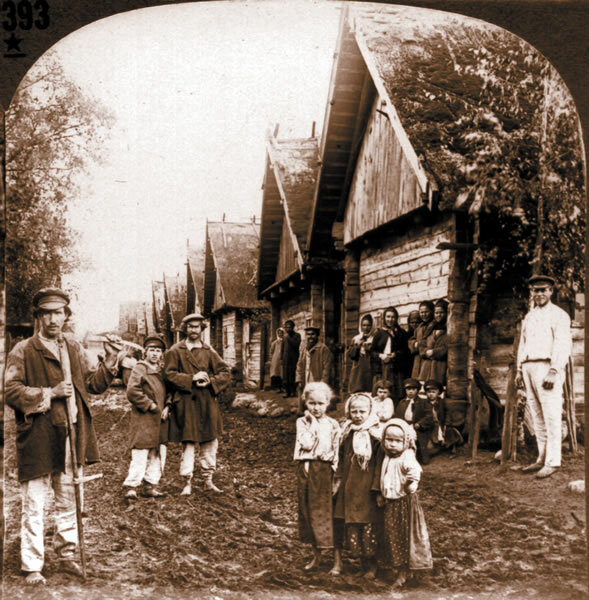 The village commune in Russia had emerged in the late seventeenth or early eighteenth centuries in response to increasing demands from the state and the landowning elite; peasant communes not only allocated obligations, but also chose their officials, held court, selected recruits for conscription levies, and kept written records of their activities. The communal clerk was sometimes the only member of his commune who could read and write…. even if eastern europeans/russians began to avoid cousin marriage around, say, 1000 (conversion to christianity), they didn’t quit residing in extended families and mostly interacting with their extended family members until, like, yesterday. (again, this pattern appears to be more pronounced the further east one travels.) so the dilution of nepotistic altruism genes in eastern european populations — via nepotistic behaviors being misapplied to individuals not sharing the same altruism genes (i.e. unrelated individuals) — didn’t happen as quickly as it did in western europe where people began regularly interacting with non-kin much earlier in the middle ages. 2d:4d, altruism, biology 101, biology and behavior, biology matters, different peoples is different (duh! ), inbreeding, mating patterns matter, relatedness matters, what's this hbd business all about anyway? the subjects were w.e.i.r.d.-ish, btw — university students from granada, spain. 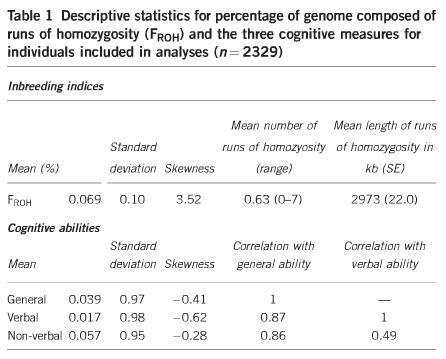 inbreeding leads to…whatever genotypic/phenotypic package that results in lower 2d:4d digit ratios *and* lower rates of altruistic behaviors? dunno. Further Research is RequiredTM. ftr — i come from a population that has been inbreeding up until fairly recently, and i’ve got a low 2d:4d digit ratio. uh oh. "Our Political Nature", altruism, avi tuschman, biology 101, biology and behavior, biology matters, in vogue, inbreeding, mating patterns matter, outbreeding, relatedness matters, the zeitgeist, trendy, what's this hbd business all about anyway? the very kind reader thought i might be interested in the book since it’s got sections on inbreeding and outbreeding … and altruism. yes, indeed! that’s right up my alley! “There’s another potential positive-feedback mechanism that promotes inbreeding in animal populations: inbreeding can increase altruism. Altruism is the force that causes an individual to reduce his or her own fitness while increasing the fitness of another. But what’s the connection to mate choice? “If specific alleles associated with altruism exist in (or mutate into) a population, then inbreeding can increase the frequency of these ‘altruistic’ alleles until they are ‘fixed’ in the population; that is, they can become permanent, contingent on continued inbreeding. “In a random mating system, in contrast, altruism is likely to be lower because individuals share fewer genes in common with each other. In an outbred population, two nonrelatives may reproduce. Half of their offspring’s DNA would come from the mother, and half from the unrelated father. Among inbreeders, however, parents already share a proportion of their DNA with one another. Therefore, the inbred offspring have *more* than half of each parent’s genes. The longer a population’s history of continuous inbreeding, the higher the genetic overlap becomes. Having a child that shares more than 50 percent of one’s DNA is an easy way for a parent to increase the propagation of its genes, and therefore to gain greater fitness — without even expending any additional reproductive effort. like i said, i’ve only glanced through the book, but i couldn’t see anywhere where mr. tuschman connects inbreeding or outbreeding with family types. or that long-term mating patterns and their downstream effects on social structures (like on family types) likely influence selection within populations. afghanis, afghanistan, biology 101, biology and behavior, biology matters, different peoples is different (duh! ), double first-cousin marriage, father's brother's daughter marriage, flatlanders, inbreeding, kissin' cousins, mating patterns matter, mountain people, mountaineers, relatedness matters, south asia, south asians, what's this hbd business all about anyway? just for a change of pace. the consanguineous (second cousin or closer) marriage rates in afghanistan are high. consang.net tells us that the rate is between 40 and 49%. 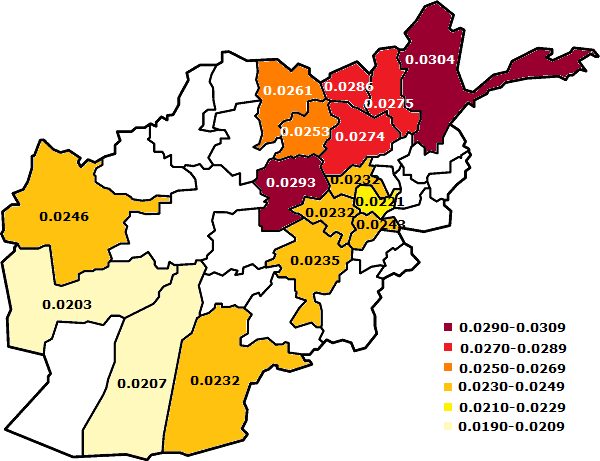 more details are to be had in Consanguineous Marriages in Afghanistan (2012) and Prevalence of Consanguienous Marriages in West and South of Afghanistan (2012), including consanguinity rates by province and ethnic group. back in the 1970s, joseph westermeyer found that peoples in southeast asia had different mating patterns depending on what elevation they lived at — the higher up, the closer the mating patterns (see also here). this pattern appears to be holding true wherever i look (example) — and now we have afghanistan. the turkmen in the lead! i’m going to guess that there’s more father’s brother’s daughter’s (fbd) marriage in the north and east of afghanistan rather than in the south and west, since fbd marriage tends to push towards greater amounts of double-first cousin marriage (and, therefore, greater inbreeding in general). i’m also going to guess that the tajiks really don’t practice much fbd marriage at all, either in the north or the south — except maybe for the sunni tajiks in the north. how long have the various afghani populations been marrying their cousins? dunno. long time prolly. fbd marriage was most likely introduced to the region by the arabs, so the afghanis probably adopted that form of cousin marriage sometime after the mid-600s. inbreeding, reality check, relatedness matters, where does culture come from? ...for different folks, afghanis, afghanistan, alexander the great, americans, architecture, biology 101, biology and behavior, biology matters, different peoples is different (duh! 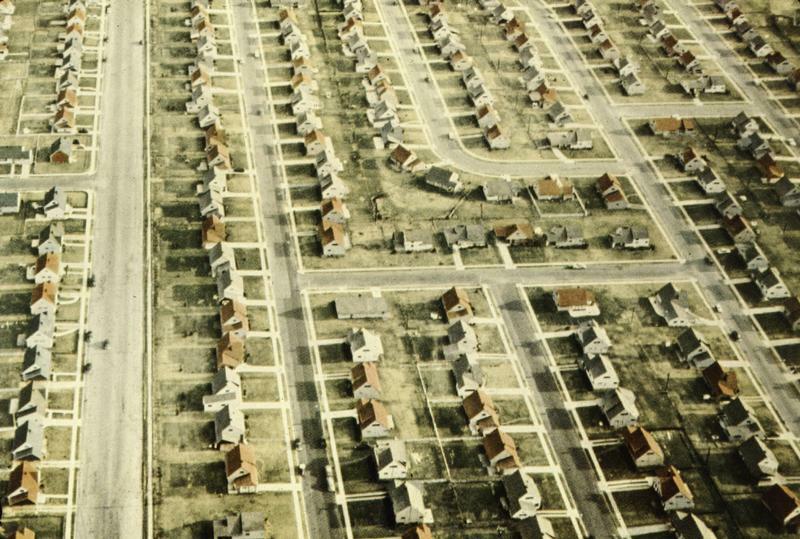 ), europeans, extended phenotype, kandahar, kissin' cousins, levittown, mating patterns and architecture, south asia, south asians, the courtyard house, there's no place like home!, u.s.a., what's this hbd business all about anyway?, where does culture come from? biology 101, biology and behavior, biology matters, christianity, consanguinity, different peoples is different (duh! ), europe, europeans, general theory of the west, hellfire and damnation, inbreeding in europe series, mating patterns matter, outbreeding, relatedness matters, roman catholicism, social engineering, st. thomas aquinas, summa theologica, the church, too much of a good thing, what's this hbd business all about anyway? in addition to being concerned about too much inbreeding and how that might hinder the building a christian society here on earth, thomas aquinas also worried about the effects of too much outbreeding.